As discussed, The Menzingers have an upcoming tour with Taking Back Sunday that includes night 1 of TBS’ holiday shows at NJ’s Starland Ballroom (12/27), NYC’s Best Buy Theater on 3/18 and Long Island’s Paramount on 3/24. Starland is sold out but tickets for the other two are still available. 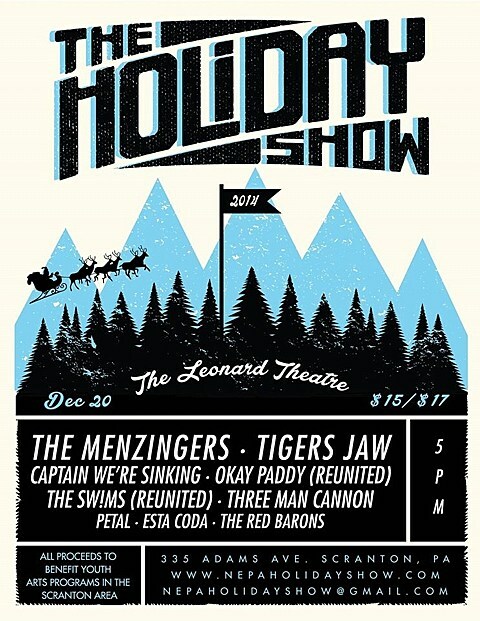 Before those shows, the Scranton natives will headline their own holiday show in their old hometown (they live in Philly now) with an all-Scranton lineup of Tigers Jaw, Captain We’re Sinking (The Menzingers’ literal “brother band”), Okay Paddy (reunion), The SW!MS (reunion), Three Man Cannon (ex-Tigers Jaw), Petal (ft. mems of Tigers Jaw), Esta Coda and The Red Barons. The show takes place December 20. Tickets are on sale now and all proceeds benefit youth arts programs in Scranton. Updated Menzingers dates and show flyer below. 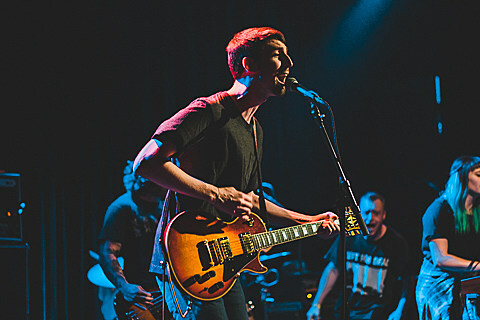 The Menzingers were also featured, along with Mineral, Touche Amore, Into It. Over It. and others, in AltPress’ recently-completed Fest documentary. You can watch all three parts here, here and here. In other news, Ben Walsh of Tigers Jaw, who released the excellent Charmer earlier this year, was nice enough to give us a list of his favorite albums of 2014. It features Scranton holiday show-mates The Menzingers and Three Man Cannon, as well as other things like Stephen Malkmus and Ryan Adams. Find out who else made Ben’s list below. Dec 27 – Sayreville, NJ – Starland Ballroom*!